Upto 1,100mm Wide x 800mm drop. It is made to order and should be ordered at the same width as your glazing panel above and below it. When placing order send us your e-mail specifying width and drop. This vent is supplied Unglazed for 24mm glass and is supplied with the necessary glazing seals/tapes. Roof vents are supplied with a brass or chrome plated screw-jack opener pre-fitted. Prices quoted are delivered within mainland UK. Note: For combination colour choices, please state the required combination in your e-mail sent to us at time of placing order. Specify the colour of polycarbonate that you require in your e-mail. Information on calculating glass sizes will be sent on request. 1. Vent width and drop. I would recommend your affordable products (Conservatory Roof Vents | | Aluminium/uPVC Conservatory Roof Vent (Bar-to-Bar) for 24mm thick glass) to anyone else considering this product, as it has been superb. 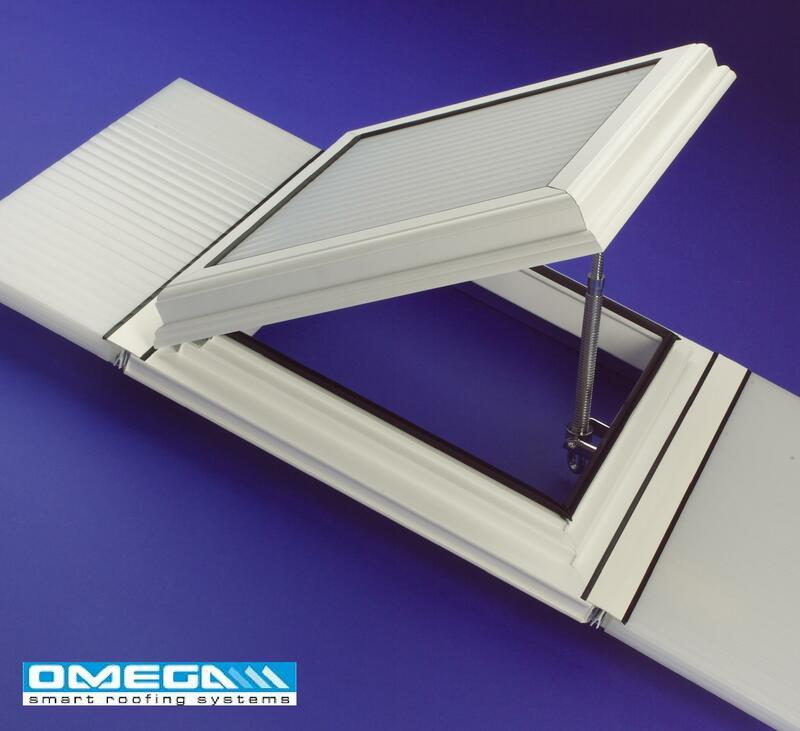 Omega Build Shop | Conservatory Roof Vents | | Aluminium/uPVC Conservatory Roof Vent (Bar-to-Bar) for 24mm thick glass. You are viewing Conservatory Roof Vents | | Aluminium/uPVC Conservatory Roof Vent (Bar-to-Bar) for 24mm thick glass, buy online today!